This shirt is a reddish maroon or brick red color with black faux velvet at the top and back yoke. 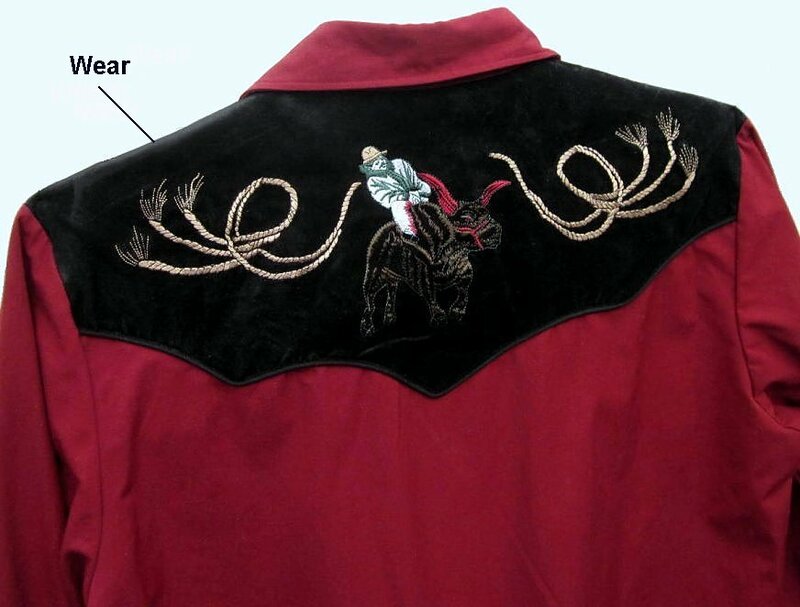 It has some shop wear on the very top of each shoulder where some of the velvet is worn off straight across each shoulder. The 90s shirt was sized large at the time. It would be a M - L now. It is 46" around at the armpit level for a roomy 42 fit.